1.Professional in make all kinds plastic chair mould,toilet seat mould and outdoor chair mould. 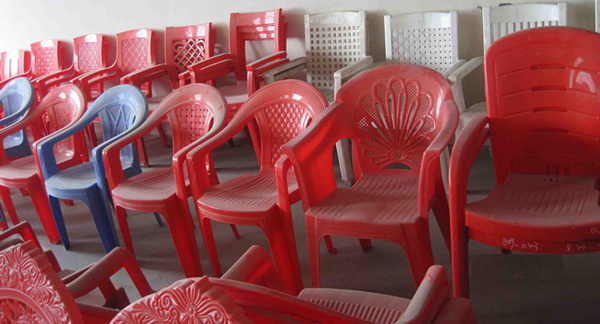 2.plastic chair mouldcwith High quality and competitive price. 3.Continuance service and technical support. 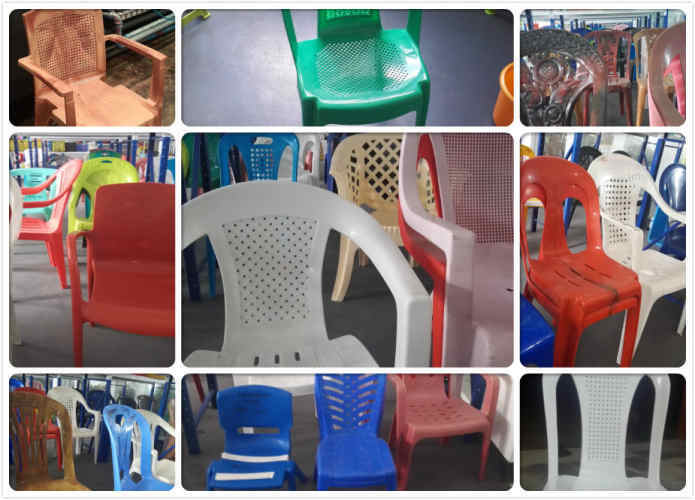 7.High quality,reliability and long product life of plastic chair mould. In the Plastic rattan chair mould design, the designer should make a full analysis of chair in accordance with the principle of injection moulding processing, and the designers need to carefully negotiate with the mould buyer, which includes the geometry of the plastic chair, the size and appearance requirements to avoid unnecessary complexity of the Plastic chair mould manufacturing. 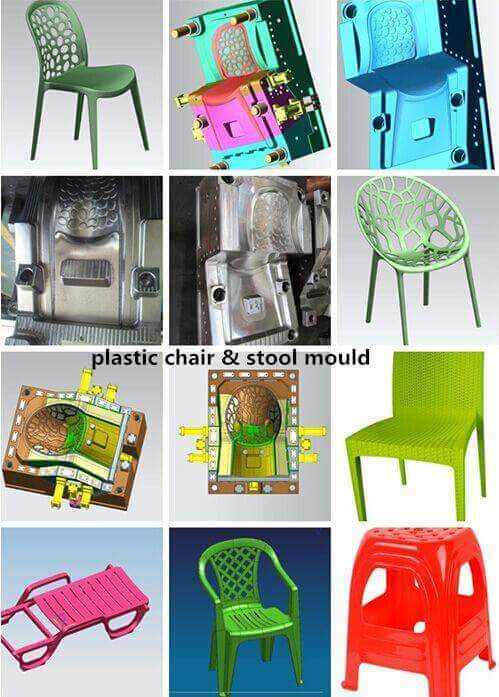 Plastic chair mould structure design. understands the details in the design, the function of each component. references to the previous similar design, understand its mould processing, learn the experience and lessons. Understand the operation of the injection moulding machine, the relationship between the plastic chair mould and injection moulding machine. understand the processing of products, and the characteristics and limitations of each processing. refer to the mould modification and trial result. understand the impact of the mould gate design on the products. 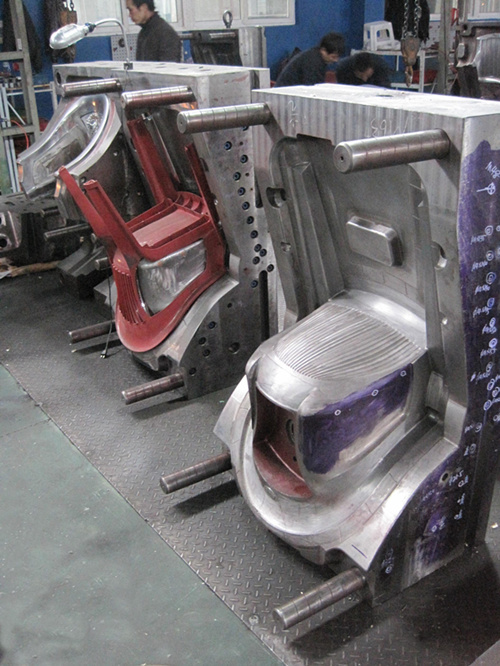 study some special chair mould structure to understand the latest mould technology. The chair mould should be closed as quickly as possible, without putting undue strain on the mould or the machine until the mould protection facility is tripped. This is applied at the final stage of mould closing just before the two mould halves meet so as to avoid damage to the mould tool due to trapped mouldings or location of delicate shot off areas on either half of the mould. Both the distance and operating pressure must be set to suit the requirements on the machine control panel. In general, mould filling takes place rapidly, as previously discussed. However, care must be taken in order not to generate excessive shear stress in the material by excessively short fill times. An ideal fill time should prevent large reductions in melt temperature (less than20 °C) and avoid the generation of high injection pressure (more than 100 MPa). The injection speed should be adjusted to produce the required filling time and the injection pressure should be set to enable this injection speed to be achieved. For example, the plastic chair mould with large cavity may require a lower relative injection speed to give the air in the cavity time to be displaced to prevent compressed air being developed giving rise to shorts or burning. During this stage, a little more material is forced into the chair mould before the gate freezes off. The pressure prevents the material in the mould from flowing back into the injection cylinder. The length of time required for holding depends upon the material being moulded, gate size, melt and mould temperatures. The setting of the hold-on stage is critical to the size and dimensional stability of components. This starts after the hold-on time finishes. Should the component become cool enough to be ejected immediately after the screw back phase then no further cooling time is necessary and the parts may he ejected. In most case, however, the mouldings will require further cooling before ejection can take place. The total cooling time required is largely dependent on the wall thickness of the component and the material used，and can he calculated accordingly. During the cooling time the screw rotates and is displaced backwards along the injection cylinder. This backward displacement takes place entirely during the cooling phase of the components as previously described. Once the screw has transported sufficient material to the front of the cylinder, the screw trips a limit switch and stops rotating. 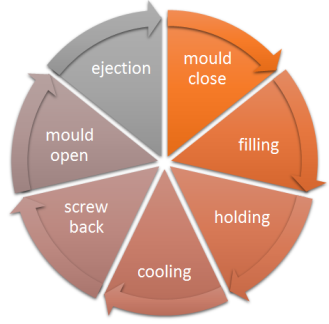 The same principles apply to the mould open phase as to the mould closing phase. Abrupt opening should be avoided, to prevent damage to the machine and mould. The distance of opening should be just enough to allow for the mouldings and any runners to be ejected cleanly. This will keep cycle time to a minimum. Adequate time must be allowed for the ejection of the plastic chair from the mould. Ejection can be employed in a semi-auto or automatic mode. Automatic ejection can be by mechanical, hydraulic or pneumatics systems, depending on the design of the ejector system. Air ejectors may be used to blow the component clear and can be set on a pulsating or continuous blow sequence. Timers can he used on both hydraulic and air ejectors.